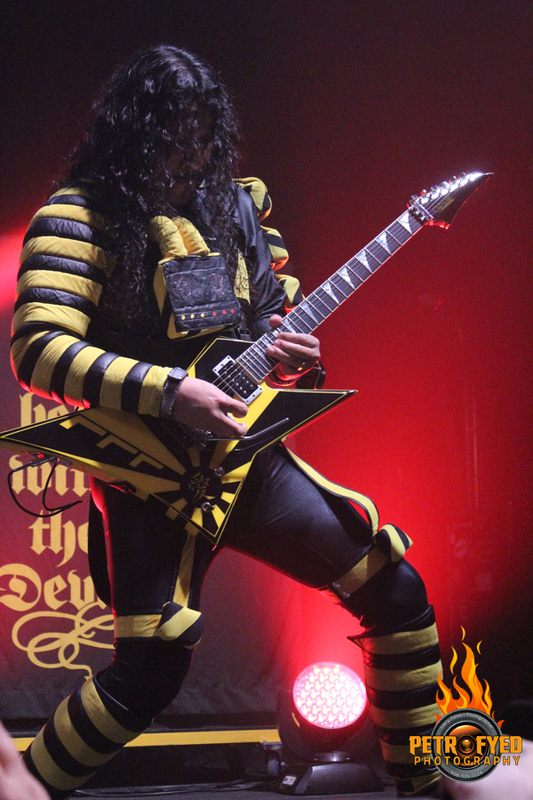 "Sunday, August 12, 2018 — News began circulating this morning that Stryper's Oz Fox suffered a medical emergency on stage in Las Vegas overnight. In order to provide accurate information and dispel any rumors, the band has issued an official statement: Our dear friend and lead-guitarist Oz Fox fell ill Saturday night while performing in Las Vegas with a side project that he sometimes plays in when not touring with Stryper. Oz suffered a seizure causing a fall on stage. After performing an MRI, doctors discovered an area of concern near his brain which they are now running a biopsy on. The doctors have instructed him not to drive or fly for 90 days. No additional information is available at this time. We appreciate your thoughts and prayers and we will communicate additional information as it becomes available. The logistics and options for current tour dates are being discussed with the respective promoters. U.S. tour dates will play as scheduled and in anticipation of a full recovery will include Oz Fox. The upcoming Australian tour will be performed as a trio (with the blessing of Oz), and will include Michael Sweet, Robert Sweet, and Perry Richardson. For our fans in Japan, please await an announcement from the concert promoter there as to the plans for the Japan tour. New information will first be communicated via Stryper.com and Stryper's official Facebook page."